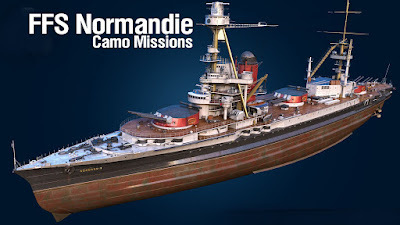 Play 1 battle of any type in a French Battleship to unlock the Normandie Mission Marathon. Participants of the contest will be able to start on the missions from April 01 at 02:00 CEST (UTC+2). For everyone else see the dates and times below. Finale Complete the previous missions in the marathon a total of 14 times. You can mix and match any of the missions to make a total of 14.